A graduation ceremony essential is your school's custom announcement. The announcement is ordered and given to anyone attending your graduation ceremony and close family or friends (i.e. 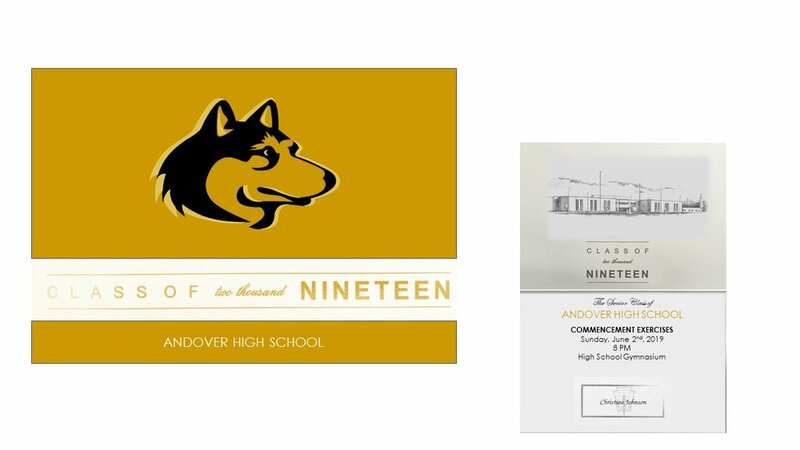 grandparents, aunts, etc…) It features the Andover mascot, gold foil accents & school building etching inside.